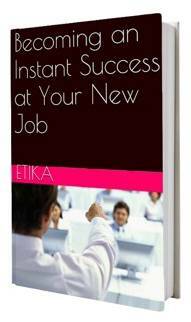 After all, you need to put a strategy into place to overcome your career advancement solutions. Just dreaming about it isn’t going to make it happen. You know that. I know that. And, everyone watching you daydreaming about it knows it too. Don’t give in to your daydreams of getting that promotion you really want. Instead, make it happen in exactly the way you want. Regardless of what goals we set ourselves there will always be hurdles which need to be overcome before dreams can become realized. These hurdles may seem larger on some days than on others. They may even seem impassable, but they are not. When outlining your career advancement solutions it is important to create realistic, smaller goals for yourself to achieve. These might be short-term and manageable at first. They may even seem a bit off track, and you might not see how they fit into your dream of being promoted. Just stay with me for now, though. What if you could turn your daydreams into reality? What if you could see your dreams being realized in the future? 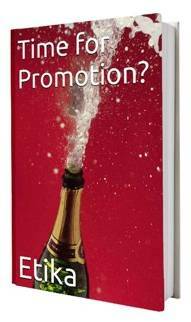 What if you were so well prepared for that next promotion you simply eased your way into it? Your dream job isn’t going to simply be offered to you. If it was, you’d have it already. You are going to have to make some sacrifices to achieve your goals. So, what is it that you are ready to sacrifice? You will have to give up some of your free time and social outings. This might mean putting off playing golf or basketball with your friends on the weekend. You may have to curb traveling to visit relatives at special times of the year. You may even have to put aside time after work each night. Now, decide what your “dream job” is going to be. Don’t settle for second best either. To ensure that know exactly what you are aiming for be as specific as possible. 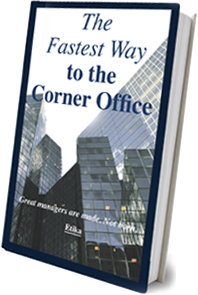 Write down the job title, name or type of company, what kind of office you might have, and your salary. Set a date and imagine yourself sitting at the desk of your dream job looking at the calendar with that date on it. Setting a particular date will force you to act sooner rather than later. Create a list of skills and experiences you will need to achieve your dream job. Look at the person who has the job or one similar. Note down what skills they have, and what kind of work ethic they have. Work hard towards re-skilling or doing extra courses after work. And, also work on your attitude right now so you will be ready to take on your next promotion. Each and every day imagine yourself doing the job. What will you wear? How will others look at you? What will your desk look like? (Think plants, pens, notebooks, etc.) What kind of car will you drive? Most importantly, write down how you are going to feel when you have got this promotion. How will it affect you and change your life for the better? Now this is the most important part. Read the last section at least twice a day. Read it out loud in a strong and determined voice. Add to your description if you think of something new. Life is full of disappointments so don’t worry if you suffer setbacks. All champions do, and you are not different to them. What you need to do is see setbacks as learning tools that will make you stronger and help you hone your approach even better. Working through each of these points means that you are taking an active part in achieving your dream job. Don’t stay behind with the pack by just wishing that you would be promoted. Make it happen.